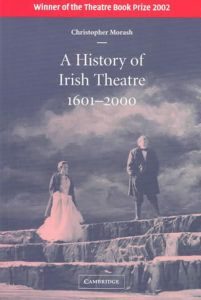 The event took place at the Theatre Museum on 4th April 2003. Professor Stanley Wells Emeritus Professor of Shakespeare Studies at the University of Birmingham, Chairman of the Shakespeare Birthplace Trust, Vice Chairman of the Royal Shakespeare Theatre. General editor of the Oxford Shakespeare series and author of many other books and articles on Shakespeare and other theatrical subjects. Michael Coveney Drama Critic of the Daily Mail, who has also written books on Glasgow Citizens’ Theatre, Maggie Smith, Andrew Lloyd Webber and Mike Leigh.